RayMar and Artfix join forces to bring artists a high-quality, professional-grade Belgian linen panel. 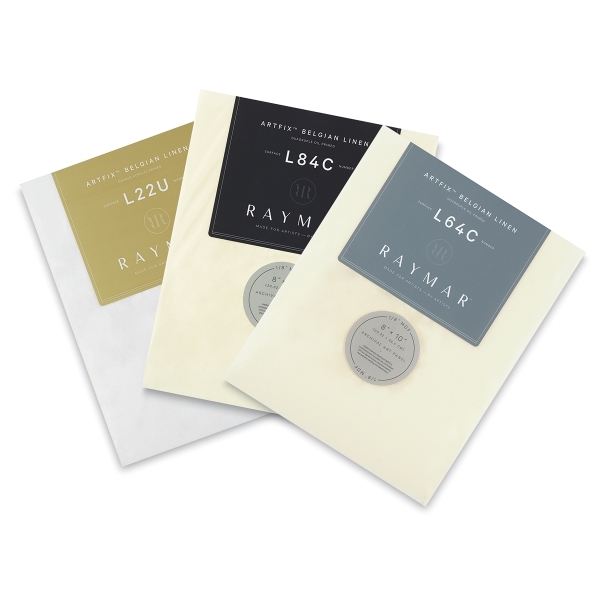 Premium, hand-primed Artfix linen is bound to a museum-quality RayMar panel to create a lightweight, archival art board that's perfect for plein air painting. Choose oil- or acrylic-primed. This is Artfix's finest portrait canvas, with an exceptionally smooth and uniform surface that's ideal for portrait and fine detail work. The canvas has a unique absorbency that allows paint to "bite" into the surface for permanent adhesion. It's quadruple-primed with oil primer for a surface that exhibits all the qualities of canvas prepared with a lead-based ground, but without the toxicity. ™ RayMar Plein Aire Panel is a trademark.™ Artfix is a trademark.